1. CAS Registry Number: 54965-24-12. Molecular Formula: C32H37NO83. Molecular Weight: 563.644. Assay: 99%5. Appearance: White crystalline powder6. Usage: the goods to anti-estrogen fertility inducer, the objects in dysfunctional uterine bleeding, polycystic ovary, menstrual disorders and drug-induced amenorrhea and other gynecologic diseases;It is used as a first line defense against breast cancer. 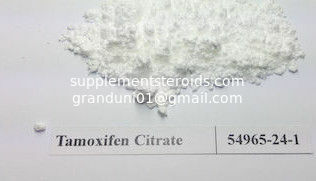 Tamoxifen, an anticancer drug, is given to treat breast cancer in women and men. It is used to lower the chance of breast cancer in women with a higher than normal chance of getting breast cancer in the next 5 years (high-risk women). 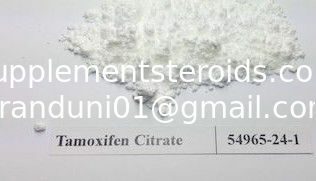 Tamoxifen is also used to treat breast cancer in women after they have finished early treatment. Early treatment can include surgery, radiation, and chemotherapy. Tamoxifen may keep the cancer from spreading to other parts of the body. It may reduce the chance of getting a new breast cancer.